Today we announce the launch of sketchmap.co.uk – a unique, easy-to-use website where people can quickly create and share maps. 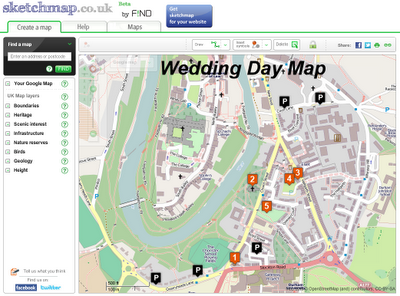 To create a map users simply go to the appropriate map location, then simply draw, write or add symbols. Clicking the ‘copy link’ icon allows them to paste a link to their map into an email or to Facebook/Twitter etc. 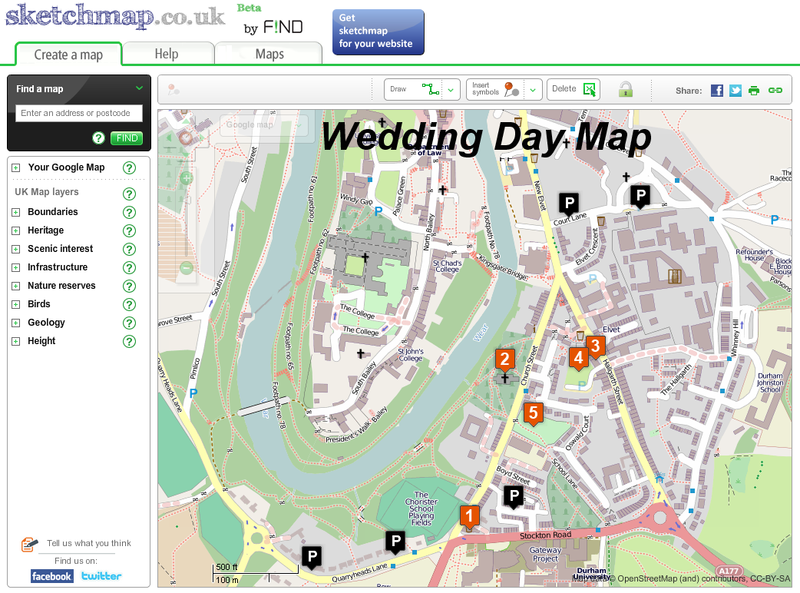 To view a map users click on the link. If they want to make any changes they can unlock the map using the ‘padlock’ icon. This new map can then be shared using the ‘copy link’ icon. The ‘Your Google Map’ feature allows users to custom colour and style every feature on a Google map. Sketchmap also allows users to enhance their maps by adding special layers showing height contours, administrative boundaries, national parks, heritage sites, bird sanctuaries, bedrock geology and much more. Sketchmap provides the tools to quickly and easily make fun, useful, interesting and informative maps.